If you live in New Castle County, Electrical Solutions would love to help you romance your landscape. Call today for more information. Here are some ideas for landscape lighting from our New Castle County electricians. Landscape lighting isn’t always about lighting up the exterior of your home. It’s often about being able to evoke feeling or create passion. Lighting can create mood, which is just what you need to add some romance to the aesthetics of your home’s exterior. There are plenty of options in landscape lighting to enhance the design of your home. Just adding a little soft outdoor lights to the yard can create romance. 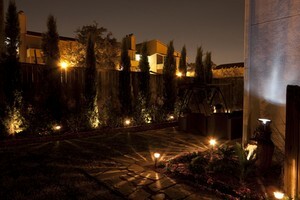 Soft lighting is great for landscaping and should be considered by any homeowner who wants to enhance their property. Whether it’s for your front yard or backyard, consider installing post lanterns as a fabulous way to put romance in your landscape design. In general, post lanterns aren’t exactly the same as a pole lights because the fixture is a lantern style. They have shorter poles and softer lights, whereas pole lights are much taller and hold strong flood lighting. Post lanterns have been around a long, long time. Before we had modern day street lights, post lanterns were used along streets and walkways to light up the area for pedestrians and vehicles. When you think of post lanterns, you’re probably certainly thinking of the familiar scenes on Christmas cards, where the snowy town square with pebble stone streets are softly lit with a few post lanterns. The scene brings about a feeling of peace and romance, making us think of days gone past. Today, post lanterns are used as a design element for landscaping. They offer a mid-ranged area of light to see by. Manufacturers also produce many modern styles that are equally romantic but also fit well with modern architectural styles. The post lantern is a flexible way to put lighting where you need it in your landscape. They are generally beautiful no matter where you place them. Placed in pairs, an entrance way can be defined. Post lanterns installed along a walkway are great for safety at night. Placed in the front of the house, they can mark your home for visitors and give pedestrians a way to see as they traverse the sidewalk. Place several around a swimming pool area and you’ve lighted up the area for nighttime activities. They are also great to highlight a garden area, especially where you may be growing taller trees and ivy beds. Post lantern landscape lighting comes in weather resistant models that hold up well outdoors. They come in styles with one or several light fixtures. 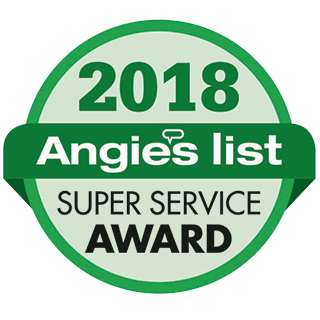 You can find them in weathered bronze with honey art glass, polycarbonate with twist lock globes, cast aluminum with clear beveled glass panels, brass with finial design, polypropylene with mansard roof styling, nautical maritime-inspired and more. If you would like more information about Landscape Lighting to create romance for your New Castle County home exterior, please call 302-994-6252 or complete our online request form.